That’s an awesome net-worth growth in month. The people who stayed invested during the recent market correction are doing well for last couple of week. Hopefully you will hit your $1 million by end of this year ..
Good post, great growth. Markets down last November/December really helped those out who invested more in that time frame. I invested a lot more than I usually do in that period, to the tune of a 7% gain so far since markets recovered!!! On a side note, is it possible to share your networth spreadsheet??? It looks like it was built on google sheets, was just wondering if it was possible to get a copy of it? Love the blog man, keep it up. Congrats on averaging down your book value. I should have invested more during the last few months of 2018. Here’s the spreadsheet for my net worth calculation for the last 5 yrs. I use these numbers to make the chart in my monthly posts. The left column is “assets,” then “liabilities” in the middle, follow by “net worth” column on the right. Will you be blogging an update on your progress with the Lending Loop? Would be interesting to hear your experience if you having been active on the platform still or if defaulted loans have impacted your returns. Thanks! I’m still active on the platform, checking in about once a week. New loan volume has been declining, and I’ve had 1 default so far with many more currently delinquent. 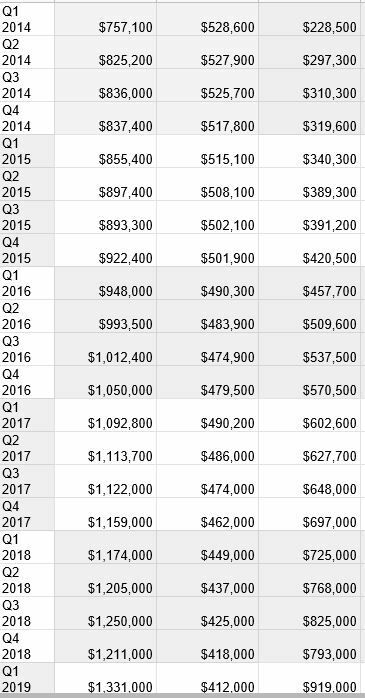 Overall I feel like 2018 investment returns are less than 2017 due to more late payments and delinquencies. But I haven’t done the math yet to see how much it’s affecting the bottom line.